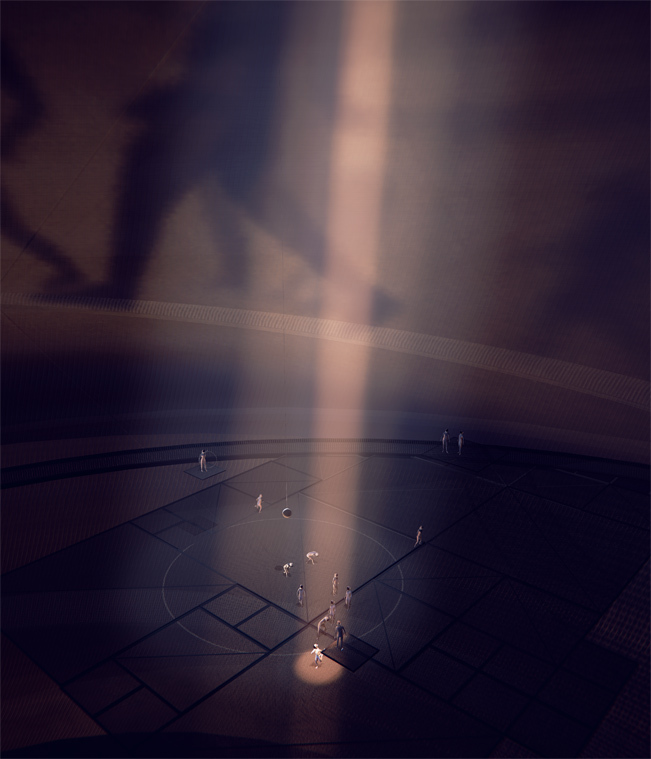 For the Bauhaus centenary we created Das Totale Tanz Theater, an interactive virtual reality installation. It was only 100 years ago that artistic research and experimentation on the topic of humans and machines was first undertaken during stage workshops at the historic Bauhaus. 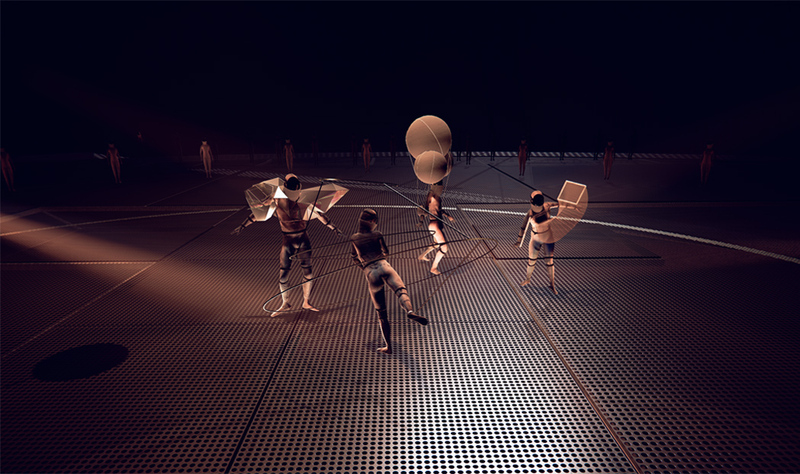 Inspired by Oskar Schlemmer’s stage experiments and Walter Gropius’ ideas of a Total Theater, an interdisciplinary team created a virtual world that invites visitors to interact with digital dancing figures. Das Totale Tanz Theater case movie. Creation of the costume Technical Organism. Equipped with VR goggles and a controller visitors embark on a journey through multiple levels of a vast, virtual stage space. 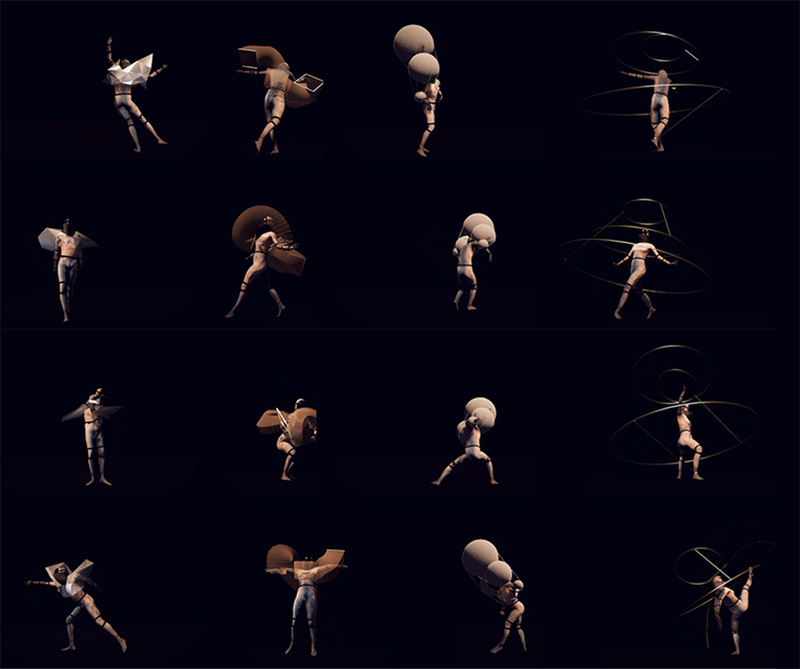 For fifteen minutes the relationship between humans and machines is experienced in a completely new way by means of dynamic joint dance in digital dimensions.The multi-user experience was initiated by the Interactive Media Foundation and co-created with Artificial Rome. 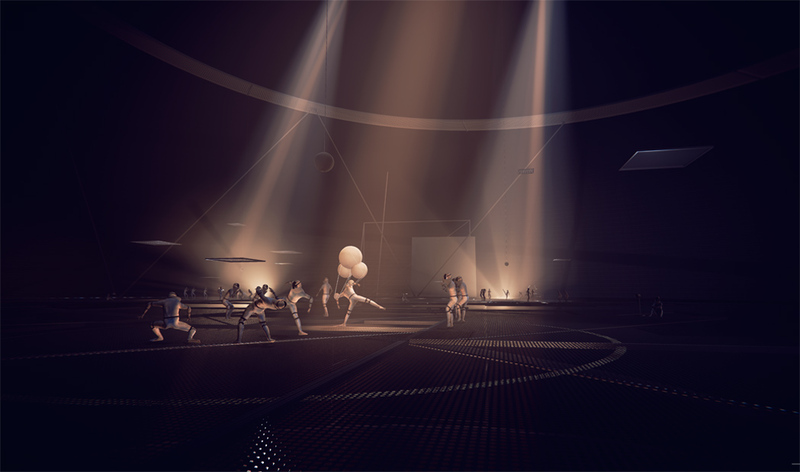 Over the course of the first act, movements are playful and the user engages in an interactive solo, roaming across the the stage with his dancer. 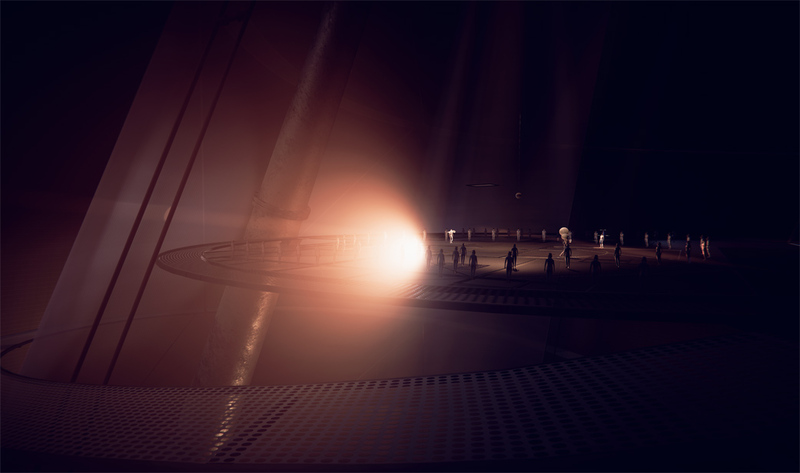 During the second act, the atmosphere changes and the user will be blocked and pushed around until the journey continues onwards into a grand finale. Choreography Act 2: The four costumes. The four costumes in motion: Ambulant Architecture, Dematerialization, Marionette and Technical Organism. View of the second floor from below. 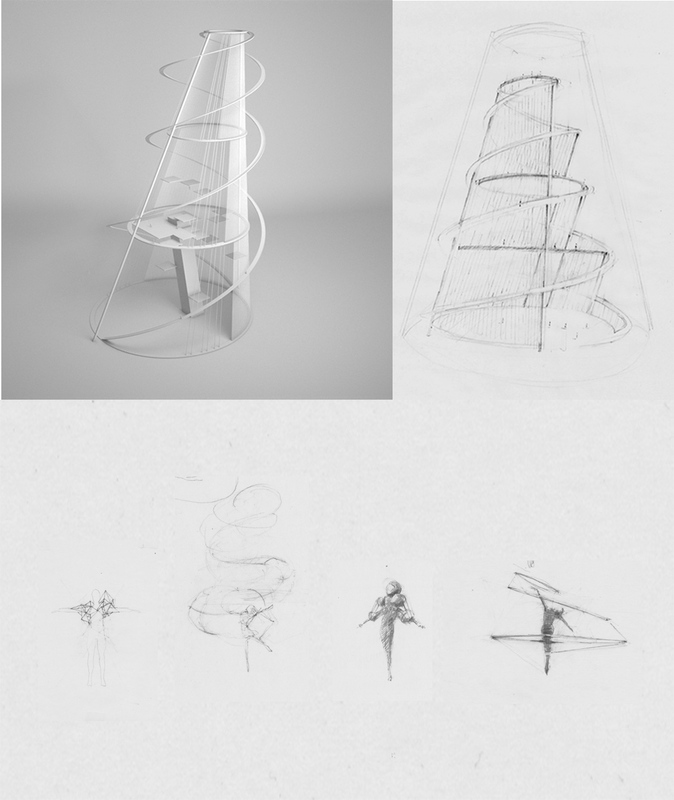 The entire stage is 620 meters high and draws inspiration from Tatlin’s Tower which was designed but never built for the Third International (1919 - 1920). 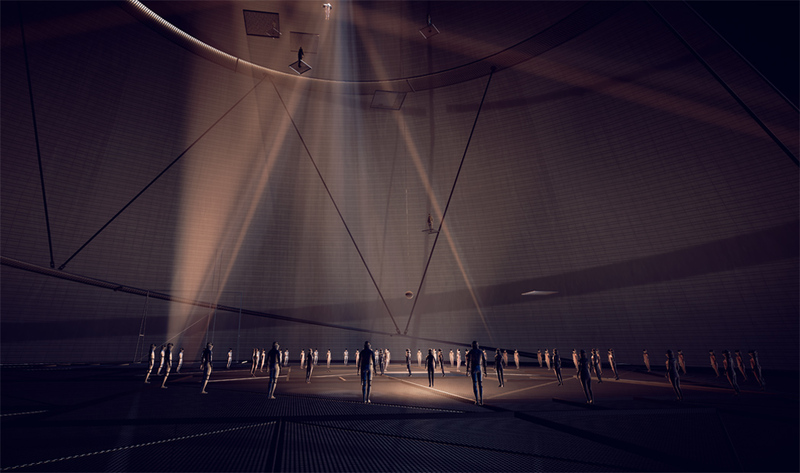 The dancers travel upwards through a complex system of elevators. The design of the costumes was crucial for the overall project since each costume is based on one of Oskar Schlemmer’s archetypes: Architecture, Dematerialisation, the Marionette and the Technical Organism. 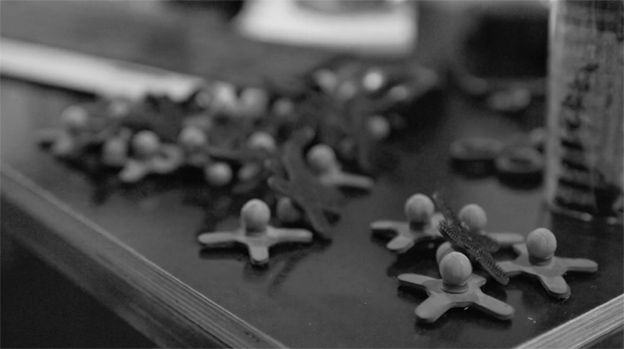 A complex physics system embedded in the costumes let the costumes react to even the smallest movements. We worked with renowned Choreographer Richard Siegal and his team of talented dancers who wear specifically casted costumes of Schlemmer’s archetypes and ‚fitted’ with the digital pendant during the actual shooting. Paying attention to every detail, their bodies were scanned and applied onto 3D models. 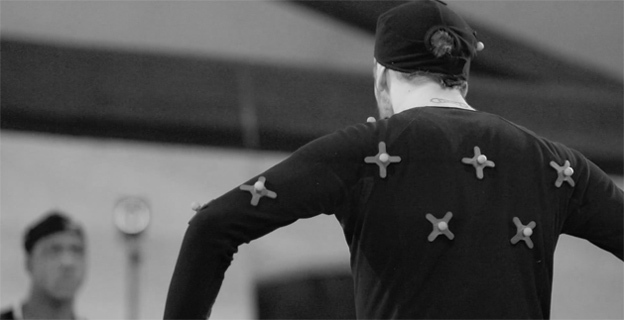 Over the course of a three week mobcap shooting, we created an archive of 800 single movements which served the basis for the programming of the interactive choreography. 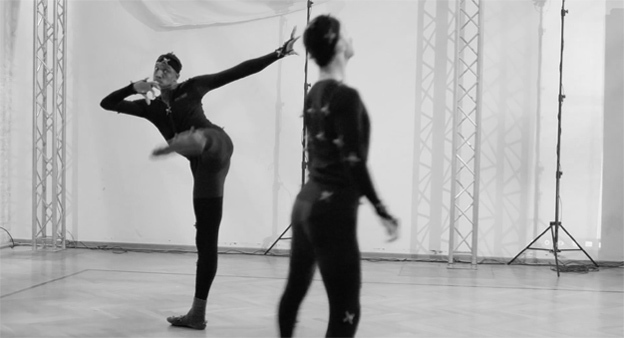 Dancers testing their digital costumes in a motion capture studio. Concept art for the architecture and costumes. As always we started out with hand drawings and a 3D paper model. We created over 120 very small sketches for the costumes in order to determine the right balance between old and new, between digital and analogue.